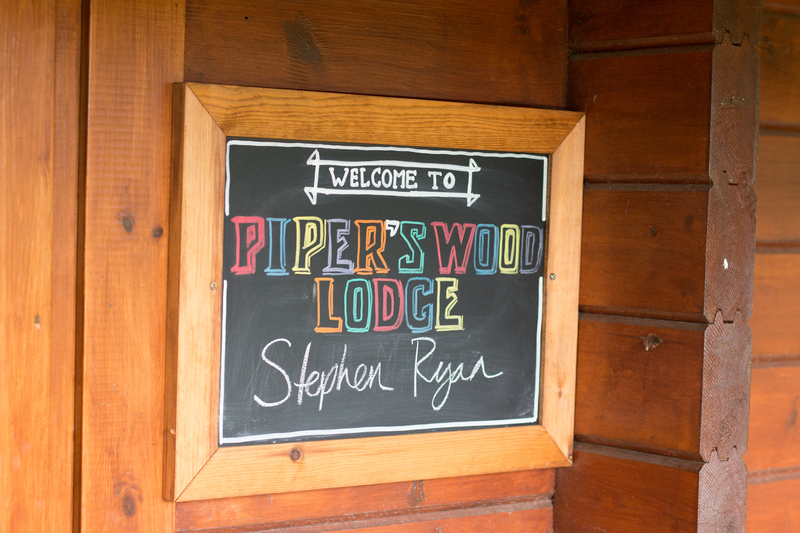 This summer we stayed at Piper’s Wood Lodge, one of the Big Sky Lodges in Muir of Ord, near the Black Isle. We stayed with my parents, enjoying a family holiday up in Scotland for my Mum’s birthday, as you may have seen in my previous post about our road trip adventures around Scotland. 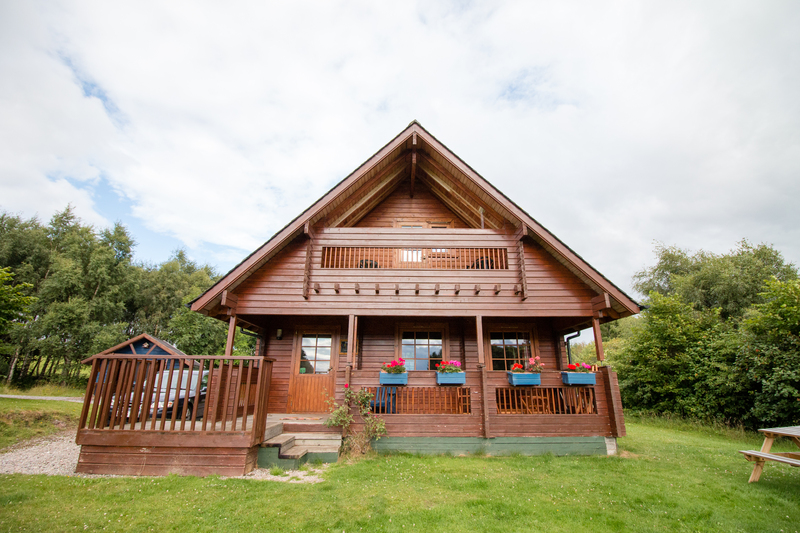 Big Sky Lodges is a family run business home to six authentic Scandinavian wood lodges, each of which sleeps six people and can be hired out for self-catering accommodation. 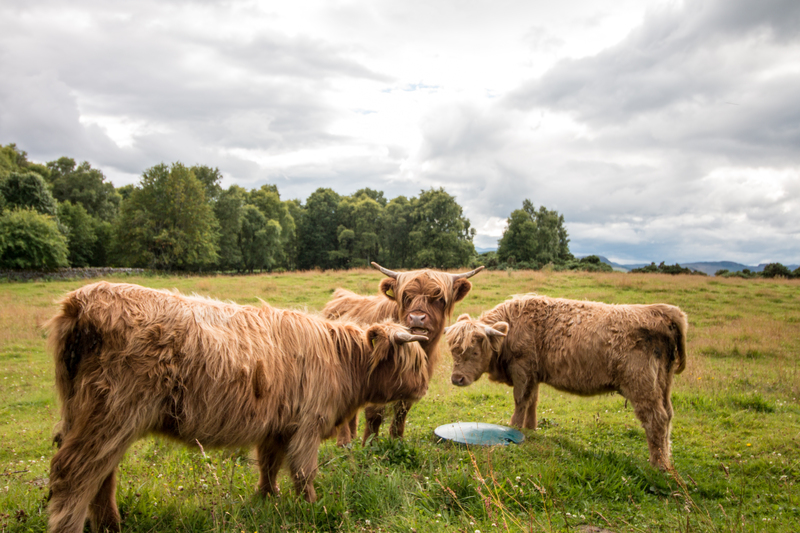 Big Sky is just a short distance from the city of Inverness (around 10 miles away) and is surrounded by woodland and meadows. 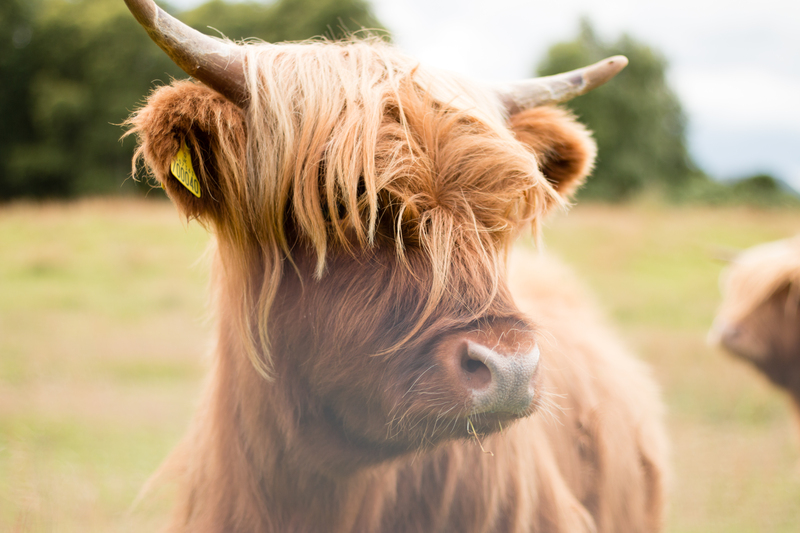 The farm is home to beautiful Highland cattle, which graze in the fields in front of the lodges. 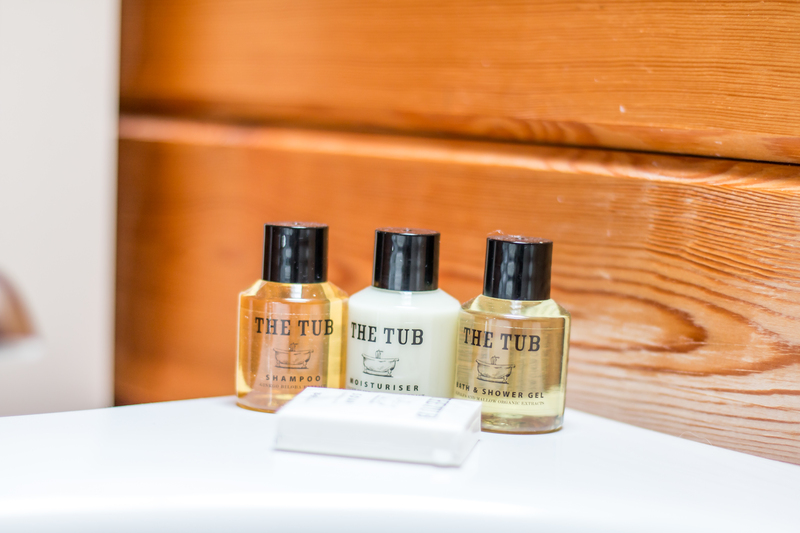 Built from Finnish pine, our Lodge, Piper’s Lodge, was warm and cosy, full of beautiful home touches and furnishings. With a warm welcome of tea cakes and chalkboard messages, we found the lodge to be light, open and spacious. 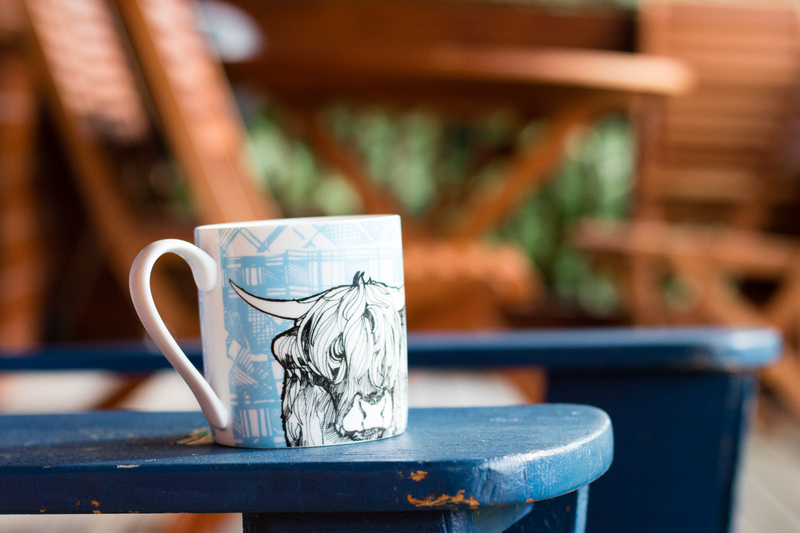 Each room was decorated beautifully from lovely linens to Highland cattle crockery, the little details that make for a luxury self-catering stay had really been thought about. The lounge had a lovely wood burning stove, which we lit to keep us cosy on a cooler evening, whilst reflecting on our day in the Highlands. There’s nothing quite like a roaring fire! Pete and I had the bedroom upstairs, which had its own balcony looking out towards the mountains. 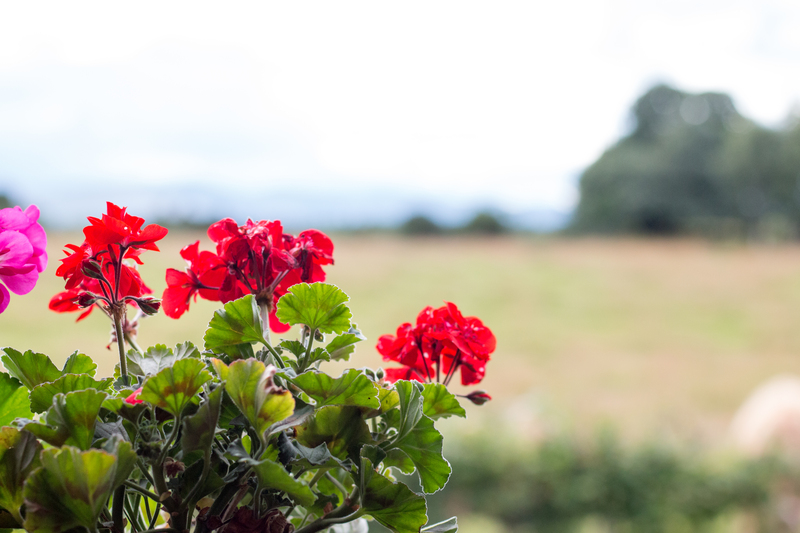 We enjoyed sitting out in the sun on the veranda watching the Red Kites and enjoying being in nature in the peace and quiet – quite different from usual city life! While we were at Big Sky, we had the pleasure of meeting owner and manager Ailsa and her family. 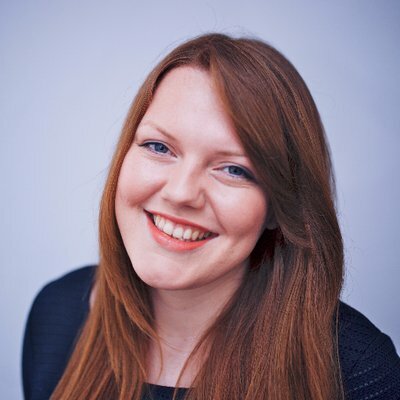 Having grown up in Scotland, Ailsa loves her Highland home and the family are in the process of building their very own Scandinavian home, which I can’t wait to see finished. We really enjoyed our stay at Big Sky and would definitely recommend it if you’re ever up in the Highlands. It was so lovely to meet Ailsa and to re-visit some places from childhood memories. We’ll see you again soon Scotland! Glad to hear you enjoyed it Gill! It is such a lovely part of the world isn’t it? So peaceful and scenic!